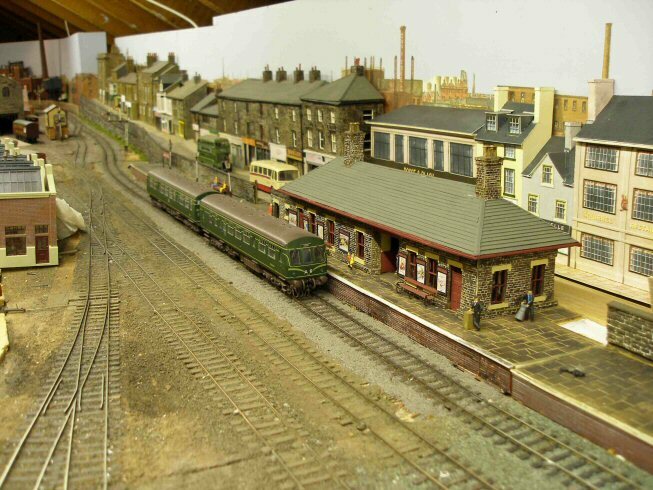 Lima Metro-Cammell Class 101 DMU arrives at Abbots Vale station. 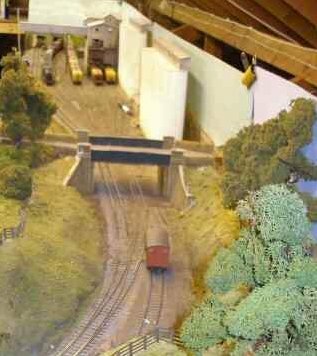 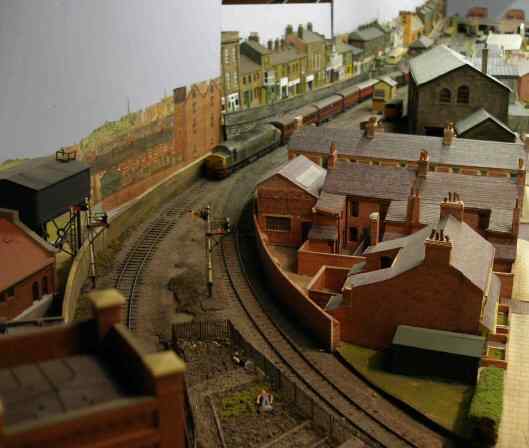 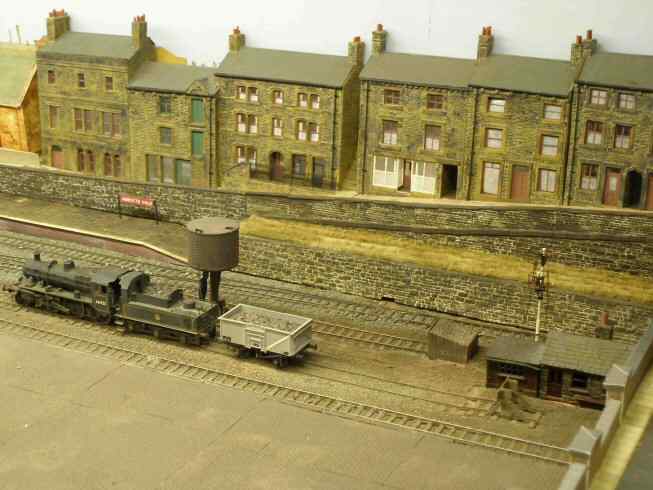 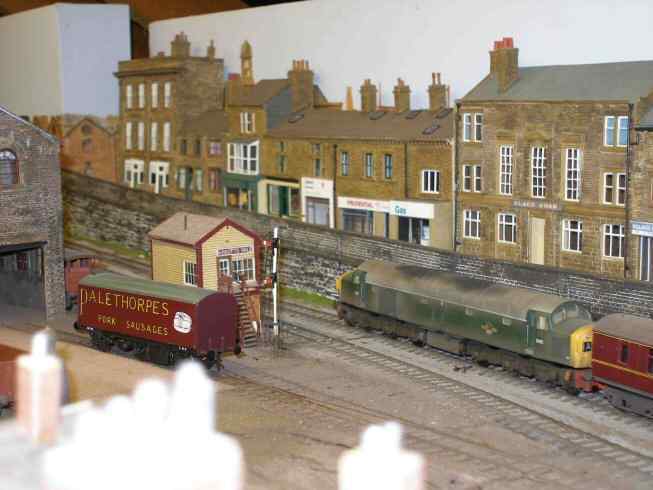 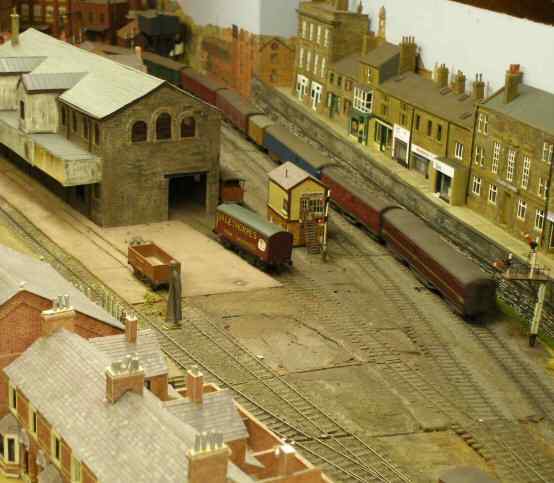 Tge station building is based on Meltham, and the goods shed in the back ground Haworth. 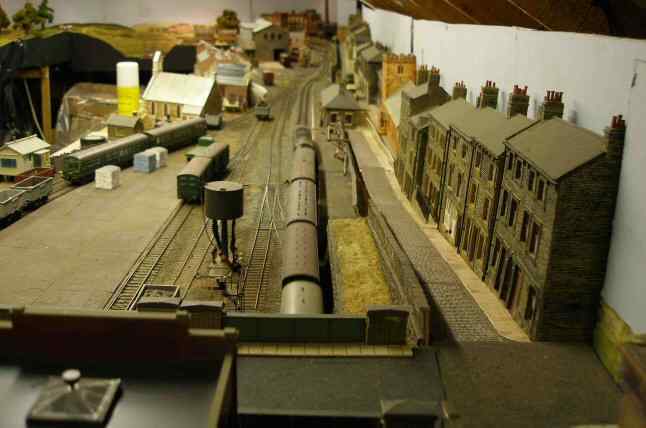 The row of shops to the right and rear of the DMU are based on a prototype in Brighouse. 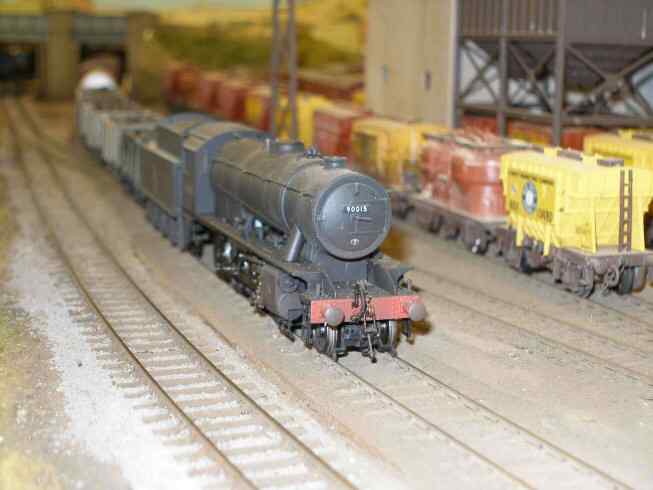 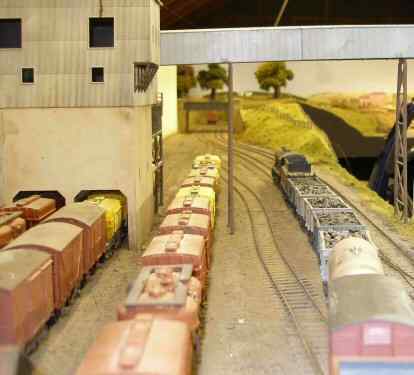 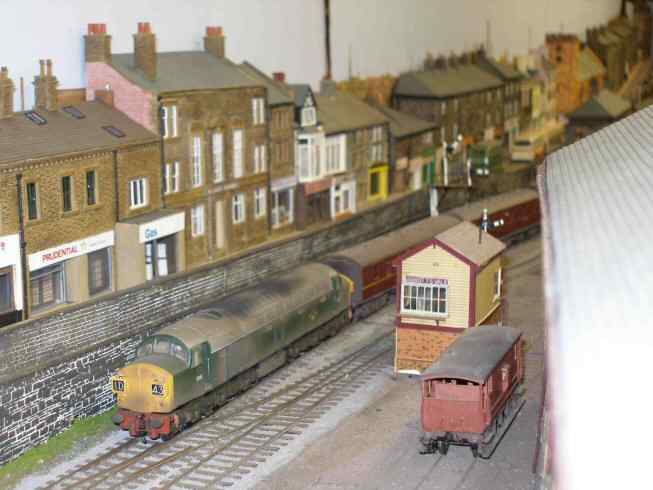 A Bachmann Class 40 leaves Abbots Vale with a parcels train.